I debated titling this post, “There Goes The Season,” or “What Season?” so please excuse the following whine session! I was prepped and ready to go today to the only event this fall that I could get to, the Waredaca Starter Trials. Between travel and making sure I felt absolutely ready as far as my ankles go, it just took us awhile to get to this point, and last night they decided to postpone to a weekend I’m not available due to the possibility of inclement weather (which didn’t start coming in until well after my ride times would have been today). It’s been exceptionally dry this fall, so of course the one day I could get to an event it had to rain! I’ve been grappling with the idea of “less is more” as Oh So has come back into work after his injury. As he’s gotten older, it’s definitely a realization that I’ve been coming to, but since his injury, I’ve had to be careful about how much jumping I do and where I do it. It’s been a year since I’ve jumped even novice height, and over the last few months as I’ve bumped the jumps up to training height (and eventually prelim), I find myself wanting to jump a line or a single big fence more than I might have in the past so I can “catch up” or get my feel back and work on my position. But because I want to save him for as many years to come, I have to be satisfied with fewer jumping efforts. My perfectionist nature leaves me always wanting to jump through a gymnastic or line several times to fix things, but I’ve not always been able to do that because Oh So tends to build as we keep jumping the same thing over and over, resulting in pulling or just jumping in bad form. Jumping fewer fences leaves me feeling like I didn’t quite master something, but it’s often necessary so things don’t spiral out of control. Over the years, Lisa and I have tried jumping the same thing several times in a row to get him to “give it up”, but we learned that strategy just doesn’t work. In a jumping session at home last week, I set up a few bigger exercises but had no one to help me. I usually like to build up a gymnastic line, but this time out, I trotted my warmup fence four times, then kept my canter going and did a bounce to a one stride over a big double X. Going straight into a gymnastic exercise cold seems to get his attention, and even if I was worried about screwing it up, he jumped it very well the first time. I couldn’t help myself, so I did it a second time and it was fine–he was listening to me and the double X really made him use himself. I kept my canter going and did a training-height wide oxer, which surprised him at first, so he didn’t use his head and neck as well as he could have. I came around again and it was better, kept my canter and did a one stride vertical to square oxer nicely. I let him walk, then picked up my canter and had a beautiful jump over the single oxer and almost kept going to the one stride again, but ultimately decided to end on a good note before he got too wound up. What would be the point other than for me to practice? He knows how to jump a training level one stride. Did I want to jump more? Absolutely! Did he want to jump more? Yes! But I exercised restraint on my part and trusted myself and him that we could get the job done in fewer fences. I tend not to have a lot of self confidence, in my real life or my riding life, which is why I think I feel the need to “get it perfect” with more jumps. When I’m on a role during the competition season, I tend to do better. Trusting in both of our skills is difficult for me. We had a similar experience two weeks ago during his first cross-country school back with Lisa. We jumped a bit in the arena, then went out to the course. She picked a few fences for us to do, we did them, and that was that. He was raring to go, I wanted to do more, but we just stopped. We know we can both do it. With Bear, I’m more apt to repeat things so he understands and can practice. 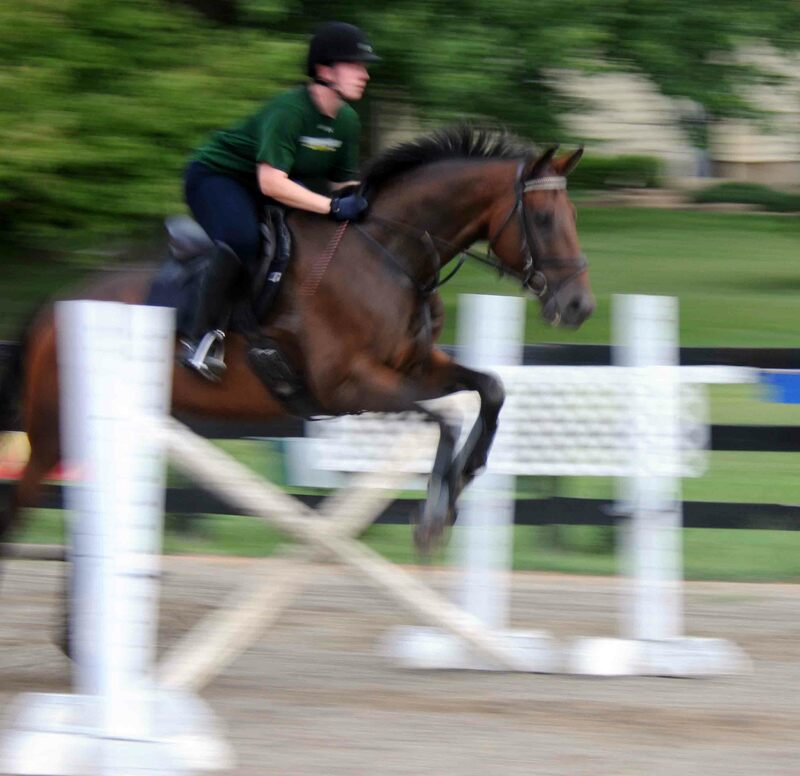 In our lesson last weekend, we did a few good size beginner novice fences in the ring, about once time each, then went out to school cross-country. We decided to try a few bigger fences and he was a little surprised at a bench/rolltop jump that was solid BN. He ran out, not badly, and I re-presented. He had a slightly awkward jump with his hind end, but did it, then we did it a third time nearly perfect. Lisa was pleased with how he handled himself the second time. She said that shows a lot about his character that he was willing to try again. This lesson did not start on time, but Bear learned a lot about patience! I’ve had some good flat lessons with both boys recently. With Oh So, I’m working on keeping him a bit deeper than I might like in our warmup in hopes of keeping his neck soft throughout our ride. With Bear, I’ve been working on halts, centerlines and general test riding in preparation for his official eventing debut this weekend at the Maryland Starter Trials. We’re doing baby novice/2’3″ for the first time out, especially considering how he reacted when we did some bigger fences on cross-country last weekend. He needs them small enough that he can trot them and not get into trouble since there will be so much more going on that he’ll probably be focused on! 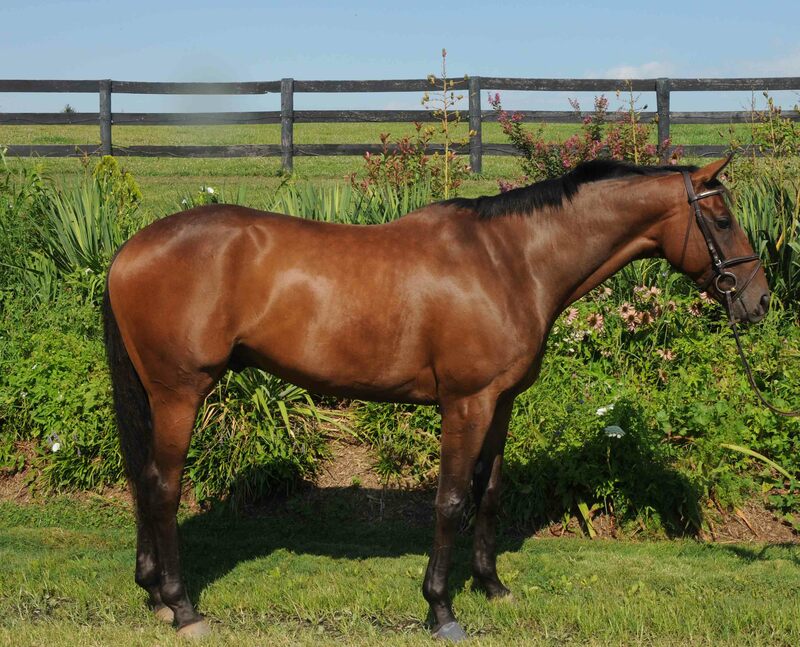 He has really turned into a “real horse” this summer with solid muscling and a bit of a growth spurt. 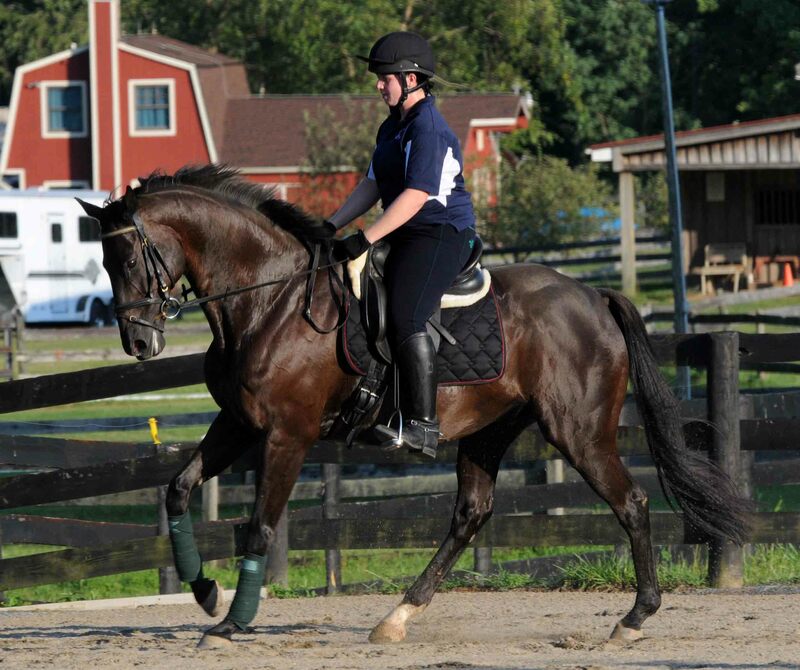 His canter is coming along nicely and his trot just keeps getting better. And all with no tension! It’s just a very different ride going from Oh So to him every day. I took Oh So to the Loudoun Hunt HT schooling day on Monday with Lisa and we had our first serious schooling. 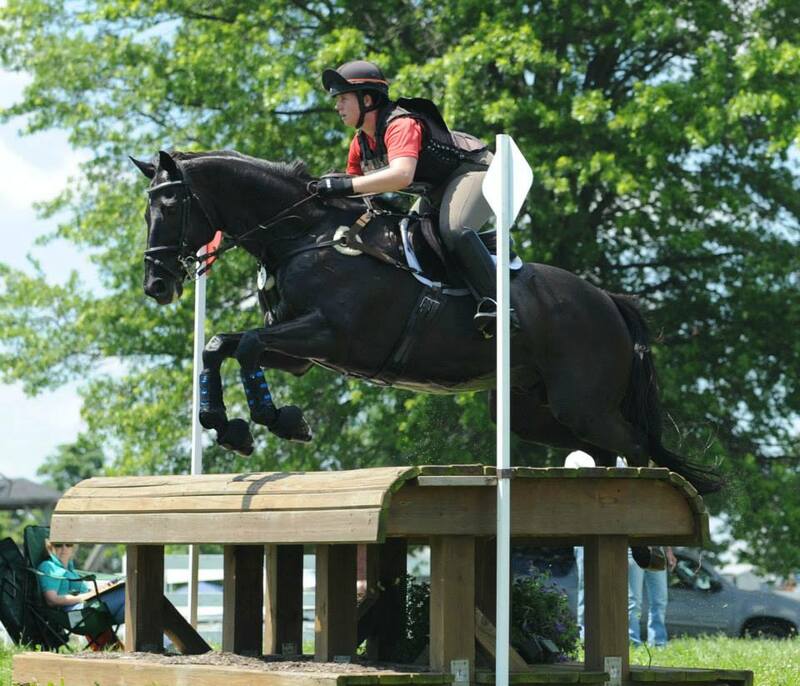 He thought the novice jumps were silly, but I needed to do them to get my feel back a bit. I started out a bit tentative and looking for a spot, but by the end, I felt back in the groove with him and he put up with me thankfully! 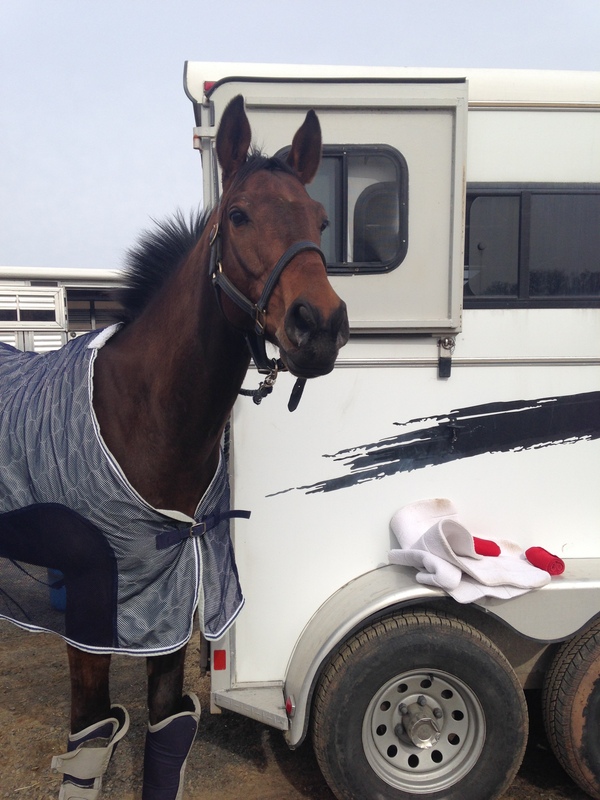 His first event back will be novice at Seneca next weekend. I’m excited to be back out and I hope the footing holds up–I’d rather it be a bit firm. But first, we’ll do a couple of first level tests at CDCTA next week for practice. I was excited to get Oh So out for his first dressage show back since his injury (I’m not counting our failed attempt at Morningside in July) at the Warrenton Horse Show grounds, ironically on the exact date of his diagnosis a year ago. That is, until he was holding his right front foot off the ground in the stall that day! Why oh why did it have to be the right front, and on such an important day? We had a very good lesson the night before and I was feeling prepared and confident, but his shoe was barely holding on that morning, so I had to get the farrier out on the day of the show. He went ahead and did all four feet since he was due and less than an hour after he left, my mom noticed Oh So was holding his right front off the ground and resting his toe. He would put weight on all four feet, but then he’d rest the right front again. He seemed a little short walking back out of the stall but looked great on the lunge. I frantically called the farrier, who turned around and came back to test all the nails. He had no reaction anywhere on the foot, which made me worry even more. What if he’d done something to the tendon again? By dinner time, he appeared to have stopped resting the foot, but I didn’t want to take the risk and decided to take Bear to the show at the last minute. Oh So was sound yesterday under saddle and had a great jump school/cross-country school today, so I think maybe the shoe felt “tight” on his foot? 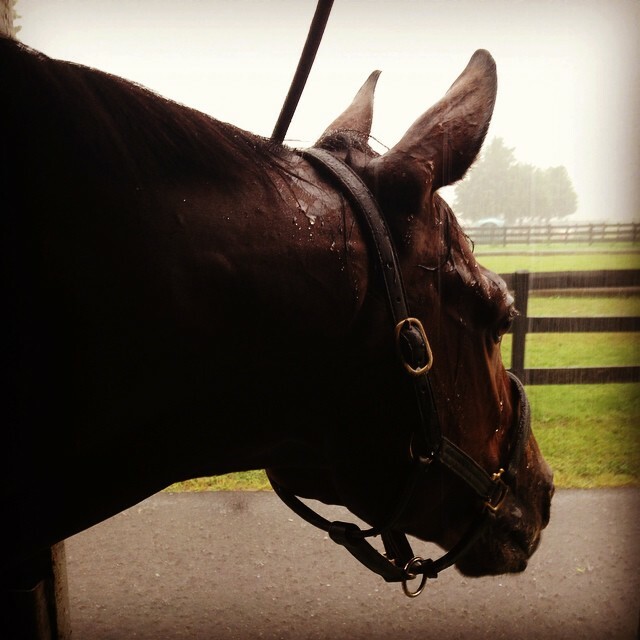 Or, as my farrier said, he just didn’t want to go to a dressage show! I’m hoping it’s behind us now, but he’s never been sensitive after getting his feet done, so it was a bit alarming. Oh So was looking good in his lesson this week. So, I memorized Training Test 1 and 2 really fast and put Bear on the trailer. He was good about taking everything in. The ring is near a busy road and there were tents set up for a future show, a grandstand and a park behind some hedges that he could hear noises from, but could’t see. I decided to shorten his warm up to about 35 minutes and that seemed fine. He was a bit distracted, understandably, at first but settled into his work. The first test he was a little distracted and I wasn’t completely accurate in my figures, but we got it done! I tried to push out his free walk, but he lifted his head and jigged. We haven’t practiced the stretchy circle diligently at home, so he has an idea about it, but I wasn’t expecting it in the ring. The second test was a bit more accurate with a few more 8s and 7s. I was kicking a bit by then, so my rider score suffered, as did the impulsion score. The judge suggested spurs, which I will definitely use next time. He’s been a pretty forward at home recently but I do wear spurs most days. He’s been kicking out a bit at them in canter if my leg isn’t totally quiet, so I wanted to keep things quiet at the show, but now I know better! We scored a 65.89% on that test. I’m not sure where we ended up in the class, but I was just happy we made it through! I’m a planner, so last minute changes are not my thing, but I’m proud of us both for getting it done. 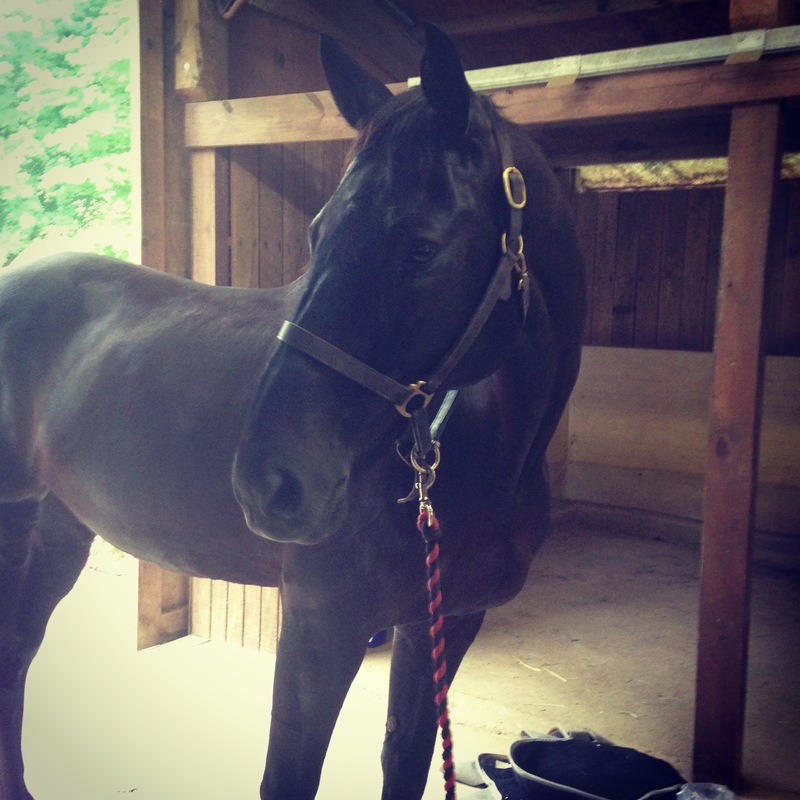 I’m going to try to enter Oh So in the September show before his first event, which will be Seneca Valley! I’ve realized as Oh So has been starting his trotting work and Bear has been progressing that they truly are different horses, in every aspect, but it’s a fun challenge to be riding two horses again. Oh So has always had a “dramatic” personality, hence his name. He does everything to the extreme. He’s been an absolute handful (and kind of an a**hole sometimes!) as I’ve started his trotting work over the last month. The vet wanted us to do 30 second trot sets and add two minutes per week. The whole 30 second increment thing lasted about two weeks before he decided he’d had enough and was basically trantering and coming close to having a meltdown every day. I compromised by letting him trot for a minute at a time and now I’ve added a few 2 minute sets. His hind end feels back to normal after he got used to using it again. We’re up to 12 minutes of trot this week and every day is sort of hit or miss. Sometimes I’m being run off with down the long side (no circles allowed yet) and other times I get glimmers of what he was like before the injury. At the end of my last minute of trot today, I pretended I was trotting down centerline on one of the quarterlines and then asked him to walk and then halt, which he made perfectly square. The training is still in there somewhere! I think once we can canter things will get better, although I’m sure he’ll be just as pissed to start with only a minute at a time! Bear on the other hand, is decidedly non-dramatic (except in the morning when he goes out and bucks like nothing I’ve ever seen before!). He’s actually a little lazy, but I think he’s still learning about the meaning of “go.” I’m hoping once we can get out cross-country schooling in the next few weeks that he’ll find his “forward” button. 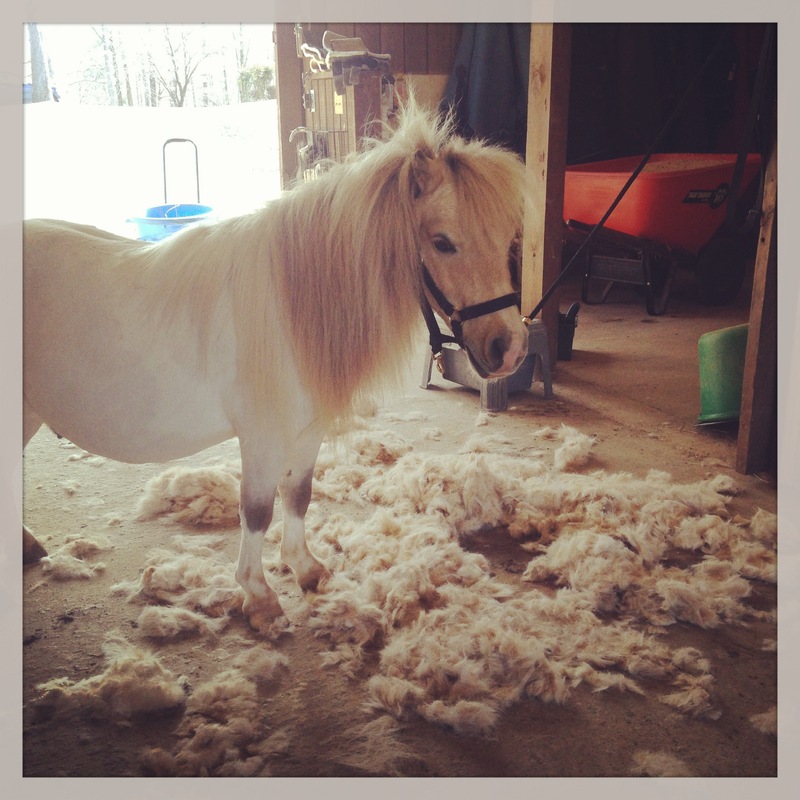 It’s interesting to have a horse that likes to be groomed. Oh So is so fidgety, but Bear actually has spots he likes. Sam was always in between when he was competing. He could definitely get hyped up and is sensitive/spooky about grooming, but he wasn’t really tense and didn’t internalize things like Oh So does. He was good off the leg and not overly lazy or sensitive. 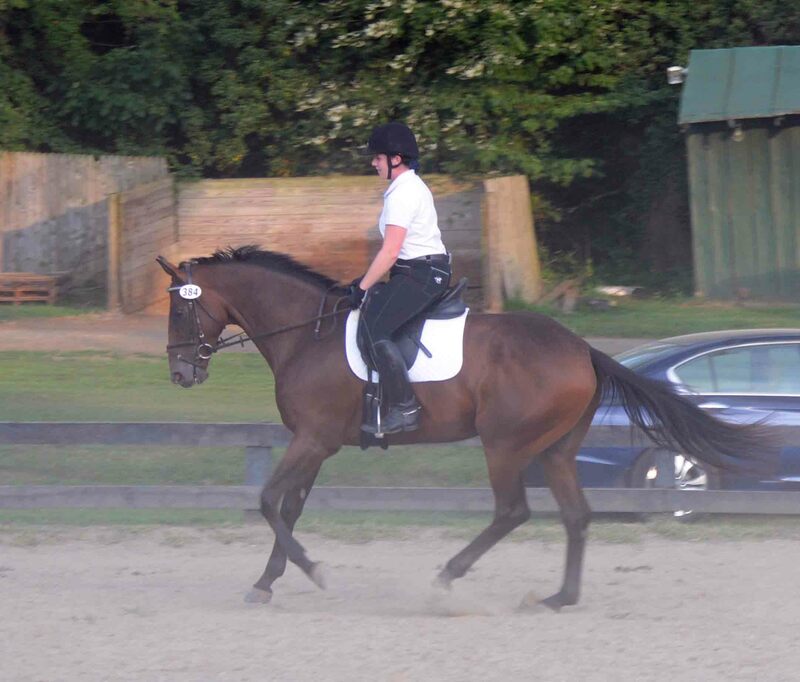 As Bear has been learning about flatwork, my dressage trainer, Nicky, had me use my seat to sort of urge him into the upward transition from walk to trot. He’s getting sharper about it now from my leg and seat, but I accidentally used that aid on Oh So the other day. Big mistake! I just have to “whisper” to him with my leg and he’s off in a big trot down the long side. Since Sam retired from full work about a year and a half ago, I’ve only been riding Oh So and now that he’s back in more work, I’ve also realized the challenge in adjusting my riding style. 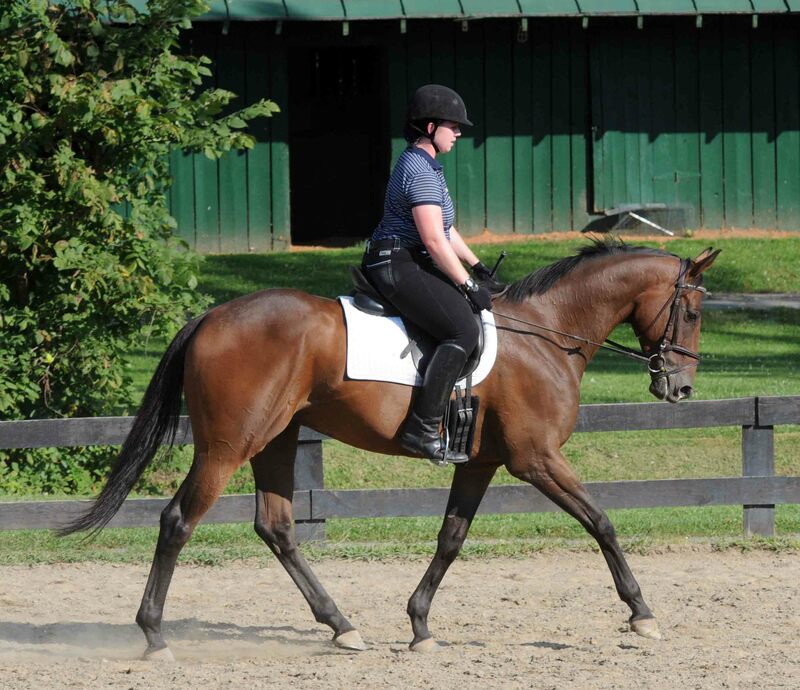 Oh So has such a huge stride and has been mistaken for a Warmblood before. He’s got a neck that’s a mile long and shark withers. Bear is a decent sized horse, about 16.1 hands I think but I haven’t measured him, and has a much shorter/average stride. I think his stride will continue to get better as he gets stronger and uses himself more, but for now, the difference between the two is kind of startling. I realized that last week when Nicky came on Saturday for a lesson. 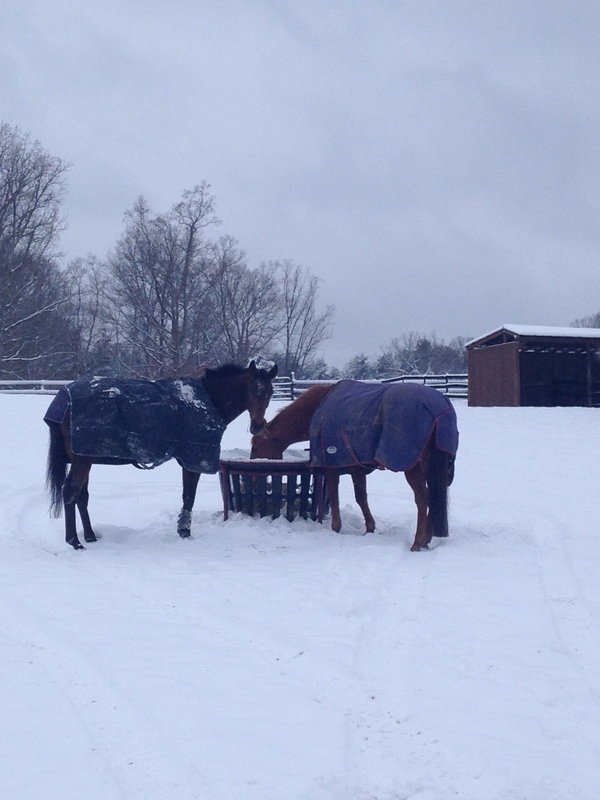 Since we had time, she brought over her 6-year-old 1st/2nd level Warmblood and schooled him while I rode Oh So. He was on his best behavior that day (perhaps because he knew teacher was there?) and we had some really nice trot sets. I got on Bear after that and I felt so out of balance and slow. I think I chased him a bit and after watching some video that my mom took, I realized I was way too active with my leg, practically urging him on every step. I just need to trust that he’s going to go forward and not pinch with my knee, which seems to slow him down a bit unintentionally. 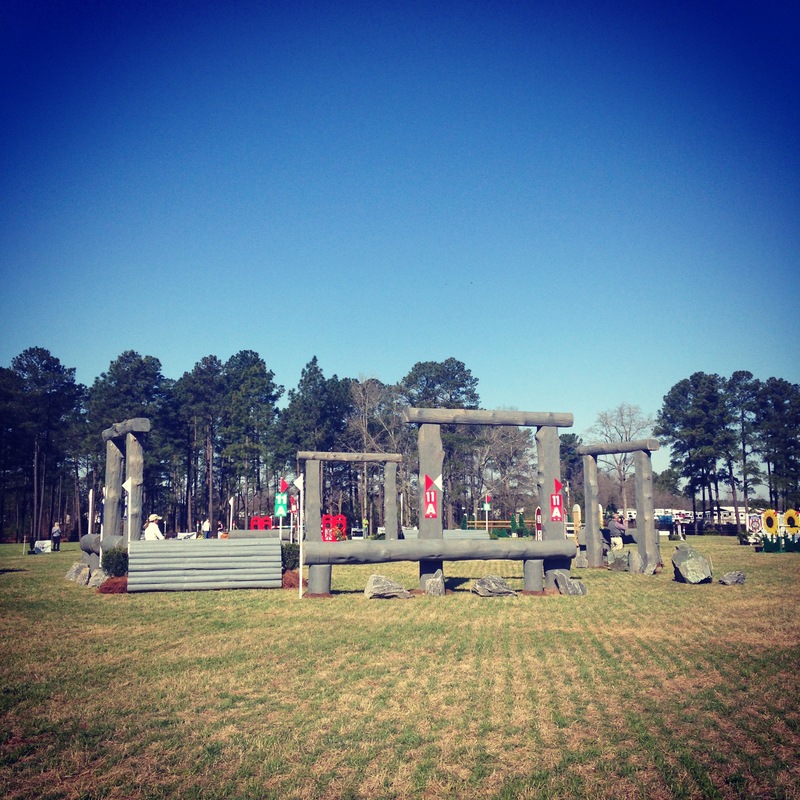 The new Stonehenge complex at the Carolina International. This weekend, I headed down to Southern Pines to cover the inaugural Carolina CIC for COTH. 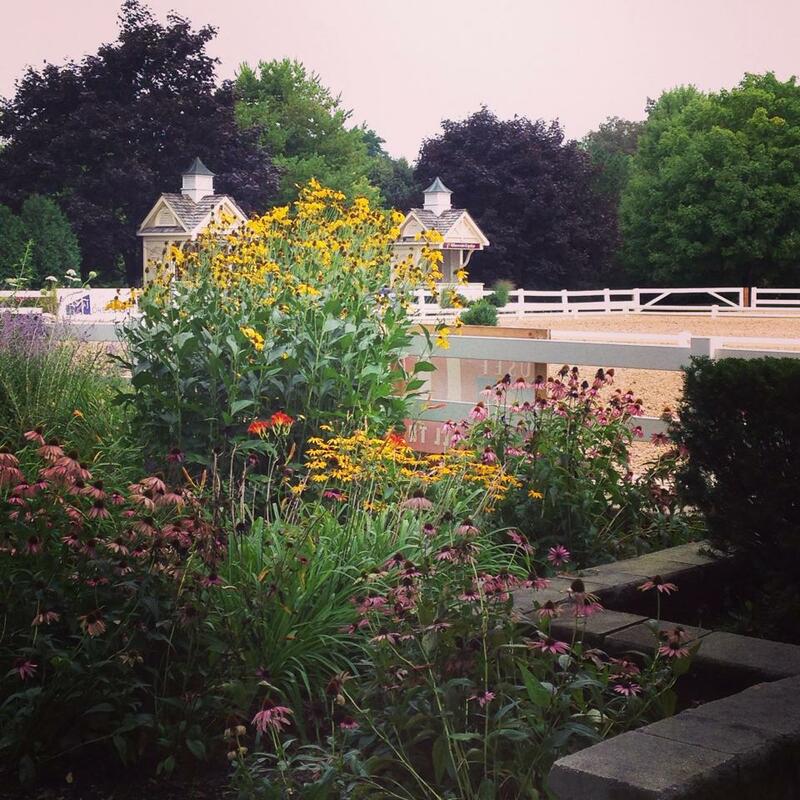 It felt a little odd driving down in a car and not turning into the stabling entrance, but I was happy to watch most of the top eventers in the country all in one place. I saw a lot of my media friends and even got a sunburn! 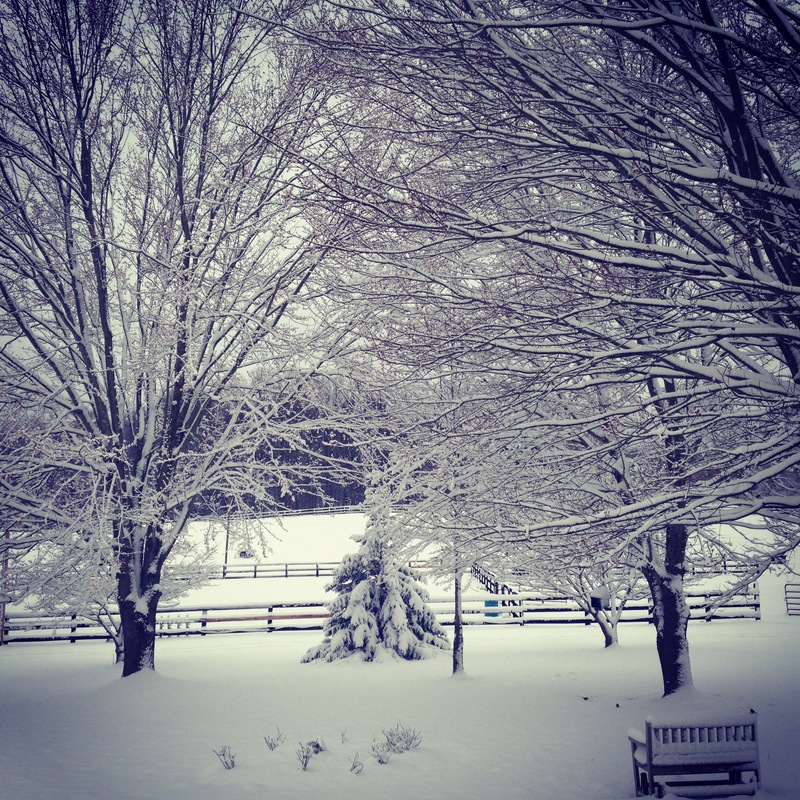 And now we might get snow again on Tuesday! Will it ever end? I’m getting antsy to get Bear out to school cross-country. I’m hoping if we don’t get too much snow this week that we’ll be able to go. I’m also excitedly plotting a schedule of unrecognized dressage shows and combined tests. First we need to go hang out at a couple of shows, so I’m hoping we can go to one this weekend. Rocky got a clip two weeks ago.